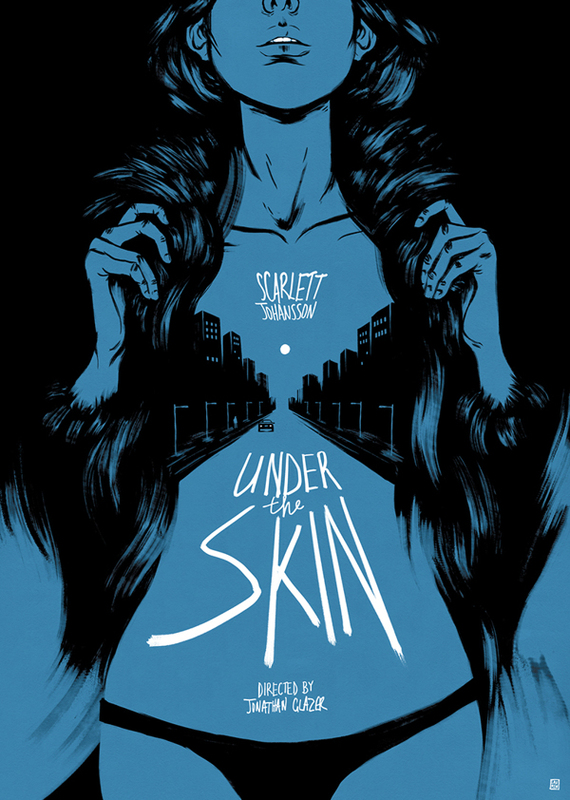 Emerging filmmaker Jeremy Saulnier wrote and directed this striking thriller that wraps suspense and bloodletting around a meditation on revenge that stands tall with classics from The Coen Brothers and Chan-wook Park. 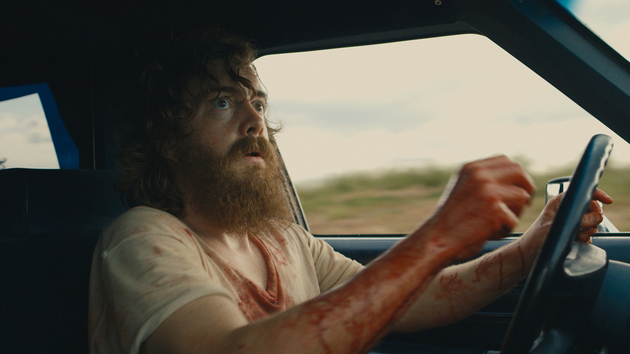 Macon Blair stars as a bearded vagrant living a meager existence with seemingly no purpose to live. That purpose is found when the criminal who tore apart his family is released from prison and he sets out on a mission for vengeance. The initial storyline, which would be a complete narrative in other films, concludes in the first 20 minutes and the movie continues on from there in an unpredictable and utterly beguiling fashion. Family history, fatalism, and the inability to outrun the past all collide in a movie that grabs you by the throat and doesn’t let go for 90 minutes. Secret Weapon: Macon Blair’s understated and powerful lead performance as Dwight. The character goes through a number of physical and emotional transformations, and Blair’s expressive eyes reveal everything from a wounded and cornered animal to pure fear, determination and resignation. 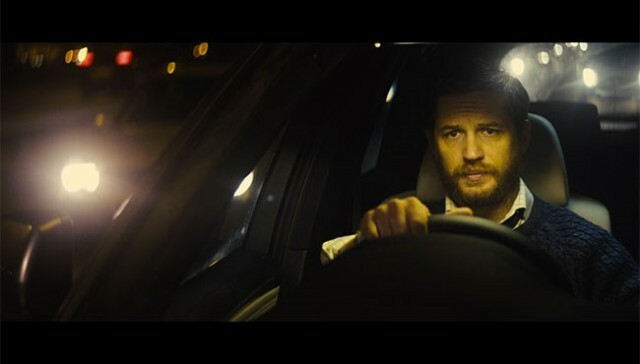 Locke takes the “one man in a confined space” sub-genre (see also: Buried, or don’t) and injects it with a solid script, a dose of realism, and a sharply honed Tom Hardy performance. Hardy is confined to a car for the duration of the film and the only other characters appear off-screen as disembodied voices that Locke speaks to on the phone. What could be a simple gimmick becomes enthralling, as the screenplay (by director Steven Knight) keeps the stakes small and personal yet still manages to ratchet up the tension as it unfolds in real time. You know those films where characters make stupid decisions constantly? Locke, the movie and the character, are the opposite. Instead it’s confident, competent and adheres to a strict set of rules that enhances the whole. Secret Weapon: Okay, so Tom Hardy is hardly a secret by this point, but regardless he commands the screen here with verve. Sporting what could be considered a spotty Welsh accent, Hardy shows total commitment to the character and premise and brings it all to vivid life. This is an actor’s showpiece and Hardy is up to the task. 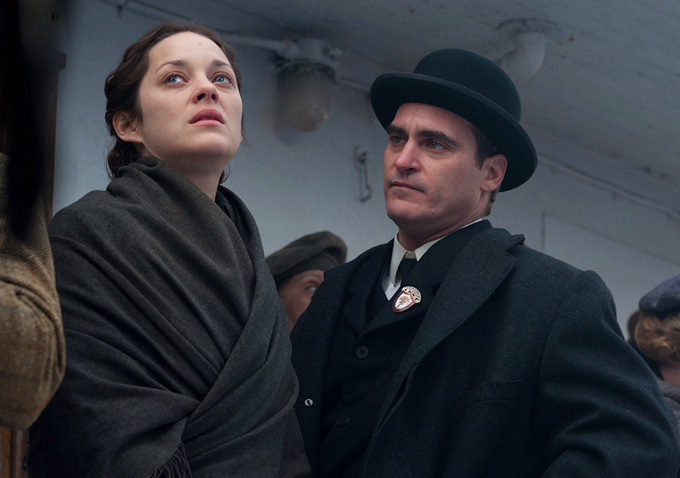 Marion Cotillard and Joaquin Phoenix, two of this generation’s finest actors, lead James Gray’s lush period piece The Immigrant. Set in 1921 New York, Cotillard stars as Ewa – a Polish immigrant newly arrived in America with her sickly sister, while Phoenix is Bruno – the opportunistic pimp and hustler who preys on Ewa. Appearances can deceive and Ewa is no mere victim in this tale of hardscrabble lives and what one must do to survive. Gorgeous production design and technical artistry bring the world to life while a mutli-layered story delves into big themes like the ephemerality of The American Dream and what it means to love someone. Classic, accomplished filmmaking combined with AAA acting make The Immigrant required viewing. Secret Weapon: The French Cotillard wrestles with speaking English with a Polish accent and triumphs, while Phoenix gives another astounding performance in a career full of them (his last scene is a doozy). Let’s give this honour to Jeremy Renner as Orlando the Magician, Bruno’s cousin. Renner plays the duplicitous nature of Orlando well, keeping the audience and the film’s other characters guessing as to his true motives. Cold in July mines similar territory as Blue Ruin, but filters it through the milieu of an 80’s period piece, complete with a fantastic score that owes a significant debt to John Carpenter. The revenge tale stars Michael C. Hall as Richard Dane, a meek family man whose hand is forced towards violence while protecting his home from a burglar. The confrontation has repercussions that ripple outwards and affect many lives, such as that of wronged ex-con Sam Shepard. Twists and turns abound, and the film kicks into high gear in a blood-spattered third act that goes for absolute broke and has fun doing so. The kind of nasty genre piece that is rarely made this well, Cold in July stands out with for its solid craftsmanship and propulsive narrative. 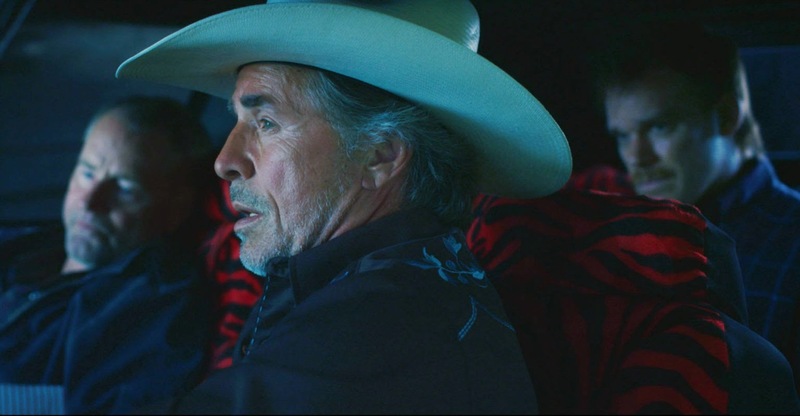 Secret Weapon: Don Johnson continues his comeback tour (see also: Eastbound & Down and Django Unchained) as Jim Bob, a character who swaggers into the pic about halfway through and owns it from then on. Call it the Tarantino effect or call it a deserving actor experiencing a late-career resurgence, just be sure to watch it. Obvious Child, from writer-director Gillian Robespierre, creates a new genre (that it may have all to itself) – the abortion rom-com. It’s an intriguing one sentence summary, but the film manages to transcend easy labels and tells an honest-to-goodness great story that’s both funny and sincere. Jenny Slate stars as Donna, an aspiring late-20’s comedian struggling to sort out her personal and professional lives in NYC. After a drunken one-night stand she finds out she’s pregnant and her journey spins out from there towards the aforementioned foregone conclusion. Along the way we meet her parents (Richard Kind and Polly Draper) her best friends (Gaby Hoffman and Gabe Liedman) and the father of her unborn child (Jake Lacy). Shrewd casting and warm portrayals fill out the world and leave room for the sharp coming-of-age script to shine. 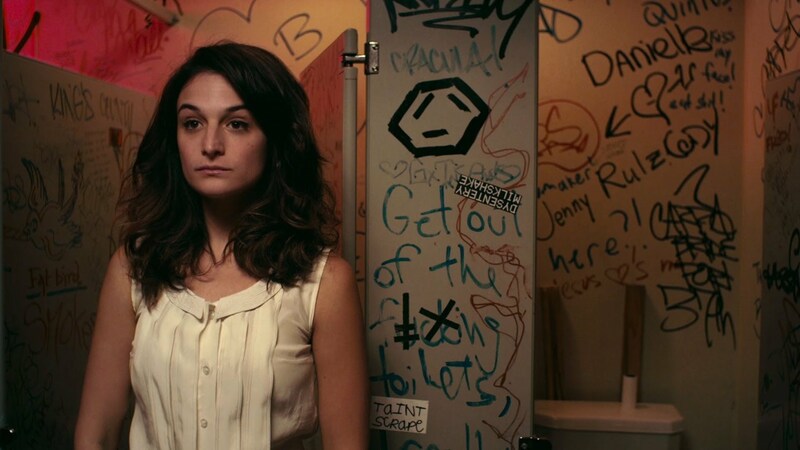 Obvious Child is both riotously funny and surprisingly poignant, which is especially amazing given the subject matter. Secret Weapon: Jenny Slate was previously best known as a one-season wonder on Saturday Night Live, but leaps off the screen here in her first lead role. Charming, disarming and gut-bustingly funny, she’s the rom-com lead we need. Already a huge hit in its native South Korea, Joon-ho Bong’s English language debut Snowpiercer burst onto North American screens this past summer. The genre-defying sci-fi actioner takes place in a future dystopia where the climate has been pushed towards uninhabitable freezing temperatures after the powers that be overcompensated for global warming. The last of humanity lives aboard a constantly moving super-train, where classes are clearly separated and order is maintained in an Orwellian fashion. Lose your preconceptions and climb aboard, as Snowpiercer is equal parts searing indictment of socio-political structures, rollicking action film, in-depth character study, and blistering and brutal sci-fi of the highest order. 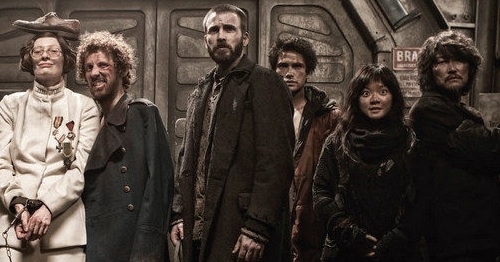 One of the strangest, boldest and just straight up satisfying films in years, Snowpiercer delivers on what the best movies are meant to do –entertain, provoke and inspire. Secret Weapon: Chris Evans show impressive range as the leader of the revolution, but it’s Kang-ho Song as the reluctant Namgoong Minsoo and Tilda Swinton as the gawping arch-villain Mason that leave the biggest impressions. 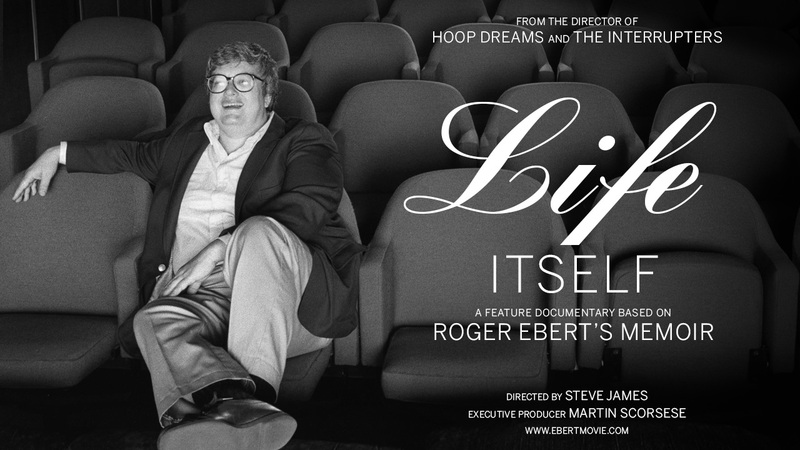 The late, great Roger Ebert is memorialized in fitting fashion in Steve James’ documentary Life Itself. Based on Ebert’s autobiography, the film flits back and forth between a chronological re-telling of Ebert’s personal and professional life, intercut with scenes from what were to be the final few months of life. Alternately Illuminating, heartfelt and humourous, Steve James (Hoop Dreams, The Interrupter) curates a memorably journey that skirts hagiography and reveals a warm portrait of a critical giant. To watch Ebert’s prickly relationship with rival critic Gene Siskel grow from antagonism to something approaching brotherly love is just of the film’s myriad delights. A fine example of documentary filmmaking at its best, Life Itself is worthwhile for fans and laymen – the balcony is now closed. Full review here. Secret Weapon: Chaz Ebert, Roger’s wife of 21 years, emerges as a fount of strength and support, particularly when his health worsens in the later day scenes. Roger is shown as a cad in early life (he palled around with Russ Meyer, was notorious around Chicago bars, and generally had large appetites that he heartily fed), but the love he found with Chaz serves as the glue that binds this true life tale. Chaz has a monologue late in the film about Roger’s final moments that is devastatingly moving and shows the power of a camera when wielded well, as it is here. A film 12 years in the making, Richard Linklater’s Boyhood charts the growth of Mason (as played by Ellar Coltrane) in real time over the ages of 6-18. Crazily ambitious and stunningly realized, Boyhood is an intimate epic that sets a new bar for how stories can be told on film. The narrative follows young Mason as he moves around Texas with his single mother (a never better Patricia Arquette) and sister (Lorelei Linklater, daughter of Richard). Mason’s dad (a fantastic Ethan Hawke) also plays an increasingly significant role as time rolls on, particularly as a counterpoint to the string of bad stepfathers that Mason is forced to endure. Beyond the structure and confidence of the film (for example, there are no title cards indicating time jumps – you just notice the change and roll with it), one its many strengths is the way in which is subverts expectations and shows mostly small moments in the boy’s life. Linklater eschews a “movie-ness” by avoiding clichés and creates something more akin to “docu-drama” that feels achingly real and should strike a chord with, well, everyone. They don’t get much better than this. Full review here. Secret Weapon: Time itself and the commitment of those involved. Shot for a few weeks each year, apparently there was no guarantee that Ellar Coltrane would return each subsequent year. This movie is infused with soul and feeling, a testament to the fact that those involved could see a project with this scope through to the end. It may be too early to speculate, but is Manhood in the works? 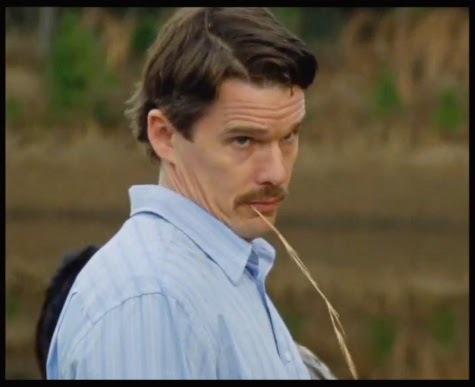 Honourable mention: Ethan Hawke’s late-film ‘stache. Summer 2014 produced a wealth of great films that didn’t necessarily hit 4000 screens – the above are those that I think are essential. Surely there are more gems out there waiting to be discovered – what did I miss?